Produce, local meat, groceries and more, sourced from farmers who use beyond organic and sustainable practices, all delivered to your door. We offer pasture-raised locally sourced meat, dairy and more, all available to add-on to your subscription or a la carte order of $49.50 or more. the Texas Rancher Box is here! Support local ranchers and get their best quality meats delivered right to your door. A new box of 100% pasture-raised meat is curated monthly, put together by our in-house experts who work hand-in-hand with ranchers and butchers to deliver to you the best cuts available, all at a reasonable price for outstanding quality. 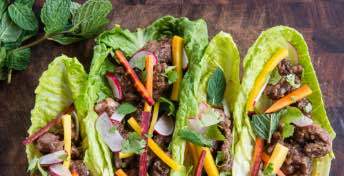 You'll receive both familiar, easy to use cuts, along with occasional specialty meats like wild boar or quail. And, there's no commitment, you can pause or cancel your subscription at anytime. "This company is amazing. I get fresh produce weekly right to my door in Dallas with the best customer service team I've ever encountered. Way easier than hitting up the Farmers Market but just as local and fresh." 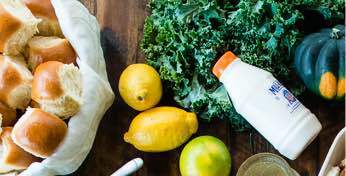 "I love the selection and love that you can get things like organic meat, coffee and half-and-half as a regular delivery in with your veggies. I barely ever need to go to the grocery any more." 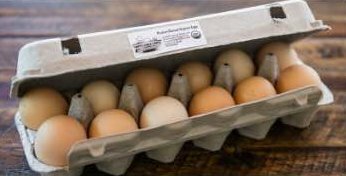 "Our weekly Farmhouse Delivery bushel is like having Christmas every Friday. We love getting fresh fruits and vegetables, some of which we have never tried before, and incorporating them into our meal plan for the week!"